Brian Denington was born in 1944 in Glastonbury, Somerset. He studied fine art and illustration at the South East Essex School of Art from 1961 to 1966. After leaving college he worked for some time as a graphic designer in a London design studio before turning his interests towards figurative illustration and portraiture. He moved to Dublin in 1991 and divided his time between commission work and his own. Since moving to France he has placed less emphasis on portraiture, and concentrated almost entirely on his figure work. 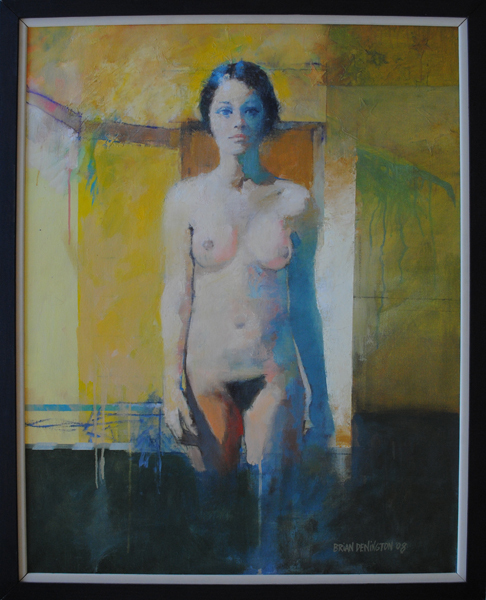 There is now a considerable demand for his nudes and figure studies, and he regularly shows and sells his work in London, Belfast, Dublin & Paris.